Chicago based Austrian artist Kurt Hentschläger creates audiovisual performances and installations. The immersive nature of his work reflects on the metaphor of the sublime and the human condition in the 21st century. 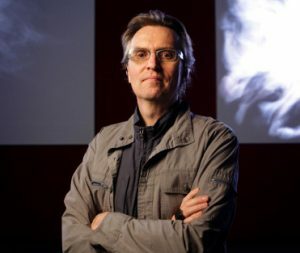 His current work continues to investigate the nature of perception and the impact of new technologies on both individual and collective consciousness. 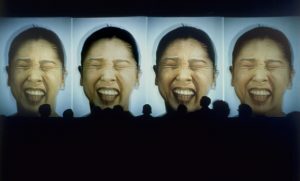 Between 1992 and 2003 he worked collaboratively within the artist duo GRANULAR-SYNTHESIS. Selected presentations include the Venice Biennial, the Venice Theater Biennial, Stedelijk Museum Amsterdam, PS1 New York, Creative Time, Inc. New York, MAC - Musée d'Art Contemporain Montreal, MAK - Museum of Applied Arts Vienna, National Art Museum of China Beijing, National Museum for Contemporary Art Seoul, MONA – Museum of Old and New Art, Hobart, Tasmania. In 2012 he was commissioned, as part of the Cultural Program of the 2012 London Olympics / London Festival, to create CORE, a large-scale installation. In 2010 he won the Quartz Media Art Award in Paris. He is currently a full time Visiting Artist at the School of the Art Institute of Chicago.